Geralt is a witcher, a man whose magic powers, enhanced by long training and a mysterious elixir, have made him a brilliant fighter and a merciless assassin. Yet he is no ordinary murderer: his targets are the multifarious monsters and vile fiends that ravage the land and attack the innocent. He roams the country seeking assignments, but gradually comes to realise that while some of his quarry are unremittingly vile, vicious grotesques, others are the victims of sin, evil or simple naivety. 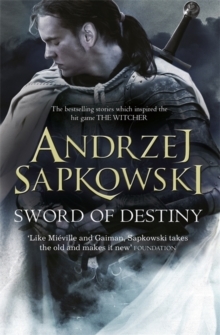 In this collection of short stories, following the adventures of the hit collection THE LAST WISH, join Geralt as he battles monsters, demons and prejudices alike . . .